A complete record of this ambitious undertaking is available in the shed archives. Scores of people and dozens of business provided their commitment, time, money, material resources and skills to the project. The shed was donated to Channel Men's Shed by Hazell Brothers and our particular thanks goes to Mr Don Hazell our Patron as well as to everybody who put time into ensuring the successful construction. There is a shed sponsor honour roll page elsewhere on this website. Acknowledgements and thanks go to Doug Storer for producing video. 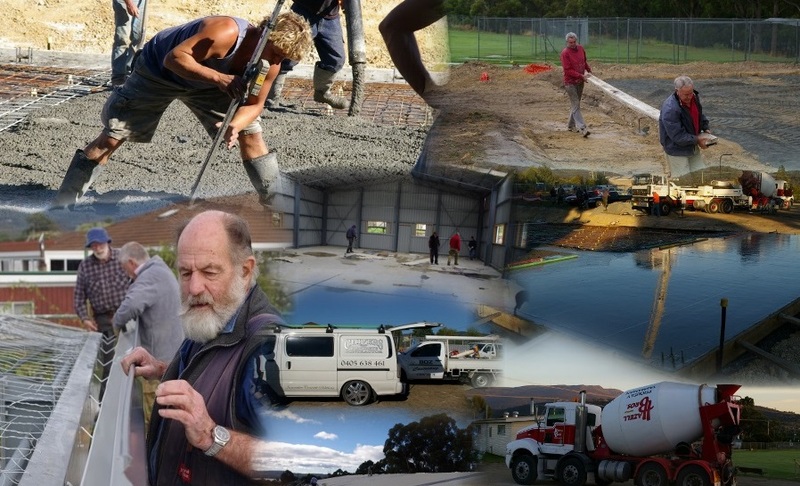 If you have a particular photo of yourself or somebody connected to the construction project that you would like to have included on this webpage please email a copy with details to the club webmaster.